How often do you use the word “busy” in your daily conversations? Living a hectic schedule and a busy career is often demonized as it may lead to a failed social life, broken relationships, a poor state of your health or sometimes emotional breakdown. Though stress is also correlated to an imbalance of the hormone cortisol, there are effective and natural ways to face such a modern stress or burnout with a positive approach and beat them to the finish. According to research from the University of Chicago, people who live busy lives are generally more grateful and happy compared to those who live an idle life. The reason behind this is human beings are wired to crave for purpose. A packed schedule makes us feel more useful and needed than living a live without much commitment. There is no need to feel bad about yourself if you are stressed out. You just need to manage the situation well and try your best to keep a healthy life. So if you are a real estate broker working in Chicago, a business partner at a waste management company or a trader on the CBOT, chill out. Stress is healthy. Unchecked stress can lead to burnout, so there is a need for you to quickly manage your busy lifestyle more effectively. Below are stress and burnout preventing hacks that every busy-bee should incorporate into their lives for more enjoyment of your days. If you find yourself constantly telling your friends and family how busy your days have been and that you can’t make plans or even cook dinner, you might consider changing the language you use. Research suggests that the words you utter to other people can literally affect your brain pathways and how you understand any given situation. Neuroscientists Mark Waldman and Andrew Newberg both stated that the fear center of the brain can be stimulated by the mere use of a single negative word. When this happens, your brain could send stress hormones in large quantities. But eliminating the use of negative language helps you reframe your mind set and positively change the way you see your life. 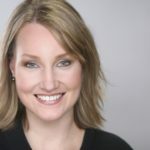 Paula Davis-Laack, a resilience and stress expert states that the key to prevent and avoid burnout is to change the way you manage your day. Instead of focusing on time, pay more attention to what kind of energy you bring about on your tasks. According to Davis-Laack, a day will always be comprised of 24 hours and therefore it is a fixed commodity. She explains that people who allocate their tasks based on time can get a feeling of anxiety. This leads to a rushed work that often doesn’t produce a quality output. On the other hand focusing on the kind of energy you deploy helps you better address the important tasks of that day. This goes the same for busy professionals who try to keep a healthy and active lifestyle. Often times, they give up on eating healthy or exercising daily because they think that it is too time consuming. But if you have a positive outlook and focus on the positive aspects, you are more likely to stick to a healthy and active lifestyle even if it takes a while to see the kind of results you so desire. Living a busy career requires you to sustain your energy all throughout the day. Most people will feel most productive when they feel good about themselves. This exudes positive energy which also helps the people around you perform at their best. Simple recovery rituals such as taking short and constant breaks will help you breathe better. A simple 10 to 15 minutes break after every 2 to 3 hours of work is perfect. With regularity, this process will help reset your mind when too much stress is building up. It will help refresh your mind and encourage you to work more pleasantly later on. Another recovery ritual you can use is making sure your health is at its top. Stress can sometimes lead to weight gain, poor eating habits, high blood pressure, high cholesterol and even coronary diseases. By simply choosing healthier meal options, you can help your body physically recover from the toll brought about by too much stress. The goal here is to prevent burnout, and you can’t fight that unless you start from within your body. According to Davis-Laack, consistent pressure to stay busy for the sake of being busy rather than intentionally working with a purpose will drive some people crazy. This eventually leads to burnout. Instead you can set monthly goals and associated rewards to build a framework. A reward system is essentially helpful to most employees including yourself, as it should drive them to provide better quality output. This eliminates the need for you and the rest of your employees to work extra hours. According to Davis-Laack, mental clutter will tether you to the thought of being extremely busy. Usually individuals with pessimistic thoughts struggle most when dealing with stressful situations. What it does is fill up your head of the “what ifs” and ultimately prevents you from seeing the big picture of your goals. Reframing negative thoughts will help alleviate stress and exude positivity towards your outlook in your work and in life. You look forward to going to sleep as this is the time that you can truly relax and let go of the stress of the day. Getting into a warm bed and settling into sleep is as comforting as it gets. Unfortunately, your relaxing night of sleep can be ruined by indigestion or insomnia if you eat the wrong food before bed. 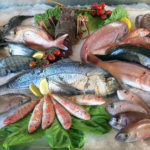 If you want to get a good night’s sleep it is important that you avoid certain foods before you go to sleep and buy a good mattress from laylamattresscoupons.com/. Read on to learn the top 5 foods to avoid before bed. While a hot cup of coffee might seem like just the thing to drink before bed, it is actually one of the worst things to drink at night. The caffeine in the coffee is going to prevent you from sleeping and the effects can last all night. You might find that you can’t sleep at all at night and there is nothing you can do to stop your insomnia. If you have to drink coffee, stick with decaf so you are not awake all night. Coffee is one of the worst things you can drink before bed so just stay away from it. Pizza tastes amazing and the combination of savory cheese, tomato sauce, and meat is intoxicating. Pizza comes in so many different flavors and it tastes so good that it is hard to stop eating it. Just knowing that you have pizza in the refrigerator can tempt you into having a huge slice before bed. Before you dig into the pizza, stop yourself because you are unlikely to get any sleep if you have that pizza. Pizza is full of fat and calories and the combination can give you nightmares at night and make it impossible to sleep. The tomato sauce and cheese is hard to digest and you are likely to end up with indigestion. Pizza can also give you acid reflux or heartburn and you are going to wake up in pain. If you are considering having a spicy snack or meal before bed you are going to want to switch to a safer snack if you want to get some sleep. Spicy foods irritate the stomach lining and digestive tract which can leave you running to the bathroom all night long. You might end up with stomach cramps and acid reflux if you consume a big spicy meal before bed. Acid reflux makes it impossible to sleep and it can lead to a lot of problems. A thick slab of meat sandwiched between a tasty bun sounds like the perfect thing at night. Hamburgers are so filling and each bite fills your taste buds with the rich flavors of the meat and condiments. Eating a juicy hamburger is very satisfying, but the burger is packed with fat that can leave you feeling sick to your stomach. Your body has to work extra hard to process fat and protein and you won’t be able to sleep when your body is working so hard to digest the burger. Wine seems like it would be relaxing, but alcohol will disrupt your sleep. You will keep waking up when you drink wine. Just one glass of wine can result in a reduced quality of sleep. The things you put in your body can have a huge impact on the quality of your sleep. It is important to avoid foods that might keep you up at night if you want to feel rested the next day. Think about what you eat at night and only have easy to digest snacks at night. Monitoring your blood sugar is important in controlling diabetes, and keeping a log of it is equally vital. Showing the results of your blood sugar monitoring at home to your physician will help him identify your body’s response to your care plan. Though diabetes is a chronic metabolic disorder, it can be controlled and reversed by changing your lifestyle. The main goal of every care plan is to keep your blood sugar levels under control and checking your blood sugar is one of the best ways to identify if your treatment is working. Self-blood glucose monitoring (SBGM) helps you determine your sugar levels at any time of the day. It also helps prevent you from hypoglycemia or hyperglycemia. SBGM enables you to strictly follow your doctor’s advice which will help decrease the long-term risk of diabetes. Here are the steps and general guidelines for testing your blood glucose levels. Make sure that you utilize your blood glucose monitors properly and get specific details from its package insert or from your doctor. Step 1: Wash your hands with soap and warm water. Dry hands using a clean cloth or paper towel. Step 2: Prepare the lancing device by inserting a fresh lancet. Make sure that you only use the lancet ones. A used lancet will not be as sharp and can cause more pain and further skin injury. Step 3: Prepare the test strip and the blood glucose meter. This step will vary depending on the type of glucose meter you have. Step 4: Use the lancing device to prick your fingertip and obtain a small drop of blood. There are alternate sites and one of them is the skin of your forearm. Although these sites are less painful, the blood from the fingertips provide more accurate blood samples. Step 5: Apply the blood drop to the strip in the blood glucose meter and apply pressure on your finger to stop the bleeding. Wait for the results after several seconds. Step 6: Throw away the used lancet in a puncture resistant container. The results of your blood sugar testing determines whether your diabetes care plan and treatment are working or not. However, you must remember that physical activity, medication and food can affect the blood sugar results. You should record the results in detail, including the date, time taken, blood glucose result, dose of medication taken prior to testing, and other notes like physical activity or foods eaten prior to testing. When you are ill, your blood sugar levels can become unpredictable and may fluctuate at any time of the day. During these times, it is best to check your blood sugar levels more often than usual. For example, instead of checking it before taking your meals, you can check it every two to four hours. These notes will become helpful especially when you catch the same illness in the future. If you plan on taking flu medications or any type of over-the counter meds, talk to your pharmacist about your diabetes so that he or she can assist you in choosing sugar-free medicines. Here are other important guidelines to remember. Drink plenty of water and avoid drinking tea, coffee, sodas or any beverage that contain caffeine. This will make you lose more fluids. Consume 15 grams of healthy, complex carbohydrates every hour. Try to stick to your usual meal schedule to avoid hypoglycemia or hyperglycemia. If your illness disrupts your usual meal time, replace solid foods with fluids that contain a little bit of sugar. You can also ask your doctor about this. Continue to take your insulin even if you are sick. Check the guidelines your healthcare team have left for you in an event of an illness. If your illness is associated with nausea, diarrhea or vomiting every two or more hours, call your doctor or proceed to the emergency room. Your doctor and the rest of your diabetes care team are the people who formulated your treatment. Therefore, they are the best sources of information whenever you have questions and concerns about your diabetes. Diabetes is a serious condition that occurs when your body can no longer produce enough, or it cannot properly use the hormone insulin properly. Insulin helps your body digest sugars from the food you eat and drink. Without it, sugars can build up in your bloodstream. Over time, high blood sugar levels can damage your kidneys, nerves, blood vessels and even your heart. According to the American Diabetes Association, people with diabetes have heart disease and their death rates are about two to four times higher than those without diabetes. They also reported that 1.5 million Americans are diagnosed with diabetes every year. This means, more people are becoming at risk of developing heart disease. As per the Center For Disease Control, about 70% of diabetics are suffering from high blood pressure – a risk factor for heart disease. But what exactly are the factors why diabetics are more likely to develop heart diseases? Here are the answers. Many diabetic patients battle with overweight or obesity problems. The fact that diabetic dyslipidemia is common among patients who are battling with their weight, it only puts them at an even greater risk for heart problems. The fluctuating glucose levels in the bloodstream can damage the interior surfaces of your blood vessels, causing fat deposits in the arteries. Eventually these deposits will calcify and harder the arteries, causing obstruction of the blood flow and stroke. Diabetes affects a wide range of body reactions including throwing off the normal balance of your hormones and cytokines (proteins in the body that are used to communicate and carry out important functions in the body). Type 2 diabetics usually battle with weight problems. It only makes their situation worse because obesity puts them at a higher risk of developing high blood pressure – a critical factor for heart disease. Pamela Kontos, Nurse Practitioner at the Outpatient Diabetes Wellness Program at Advocate South Suburban Hospital says that the worst part is, type 1, type 2 and prediabetes have equal risks of developing heart diseases. The signs and symptoms of heart problems are angina (chest pain), vomiting, nausea, left sided pain in the jaw, neck, arm, back or stomach and shortness of breath. Kontos added that in the case of diabetics, they should be more observant about their body. Because neuropathy or the loss of sensation due to nerve damage is common among this condition, diabetics may not feel any chest pain and the rest of the signs and symptoms, even if it has already started to manifest. The best way to prevent heart disease or any heart-related condition associated with diabetes altogether is to take good care of your health and keep your blood glucose levels under control. It is important that you also include lifestyle and diet improvements, exercise and stress management. Despite the link of heart disease and diabetes, Kontos recommends that the best way to prevent heart disease is to manage your diabetes with an utmost importance. Your diabetes care management will help prevent the risk of heart disease later on. Keep in mind that diabetes is a detrimental disease. There are ways for you to continue to live comfortably but that does not mean you should rely on taking medications and drugs alone. There are effective ways to naturally reverse diabetes – by eliminating the underlying causes. This requires you to exercise daily, stay active, and change your diet. Even if you have been living a completely healthy and clean lifestyle, never alter your medications without your doctor knowing about it first. Instead, continue to live healthily and see your doctor again after several weeks so that he can reassess your condition once more. Getting diagnosed with diabetes is not the end of the road, but rather a wake up call. By exercising regularly and eating a balanced diet, you can naturally get rid and prevent the recurrence of diabetes, and the health complications (like heart disease) that come along with it. When you think critically, take informed actions and follow your doctor’s advice, you can take charge of your health. Plastic surgery in the US is both popular and expensive. As a result of its popularity, plastic surgeries in countries like Thailand, Korea, Brazil and in the Middle East offer cheaper procedures to many tourists from the US and Europe. There is an increasing number of Americans and Europeans traveling to Turkey to get some plastic surgery done. The primary reason behind these travels is for them to get more affordable rates without jeopardizing the quality of the work. As more people seek plastic surgeons in Turkey, this country is slowly becoming one of the key destinations for the health tourists around the globe. Although there are numerous perks in medical tourism, you have to think about your safety first. Regardless of where you choose to get a procedure done, there are always some risks involved. Here are five questions you need answers to before booking your flight abroad to get a procedure done. 1. Is there a recourse for me? In the US you can sue a doctor for malpractice if something goes wrong in the operating room. But this might not be the case in other countries. As per the American Society of Plastic Surgeons, there are no laws in the USA that protect Americans who proceeded to go to an unlicensed doctor abroad. The bottom line is you have to understand your legal rights before you make a doctor’s appointment overseas. 2. Is the doctor certified or accredited? Look for a surgeon who is accredited by an organization similar to International Society of Aesthetic Plastic Surgery in the US. These agencies of doctors require continual medical education, training, certification and hospital privileges before anyone could join. There are also members of this organization who practice in the USA and overseas. 3. Can you contact the surgeon or his clinic before booking a flight? Getting a terrific surgeon is essential but establishing a relationship before you see him or her is a crucial aspect of traveling overseas for a procedure. By contacting the doctor’s office, you can find out about his or her credentials. You can also find out if the doctor has international patients and if he or she is affiliated with a well-known hospital in his country. A surgeon with hospital privileges tells you that he or she is indeed certified. 4. What are my post-surgery risks? Even under the safest conditions, there is always a risk in any plastic surgery. You have to think about what could go wrong after the procedure is done. For example, flying back home after surgery can potentially cause you to get sick or develop blood clots. If possible, avoid traveling back immediately. It would be better to stay overseas after your surgery until you are totally healed or until your doctor clears you to travel back home. 5. Who do I contact if I have questions about my post-operative activities? Doctors provide slightly different recommendations to every patient. Before you try various activities such as drinking alcohol, swimming in the beach, sunbathing or skiing, check with your doctor if they allow you to. So make sure to find a surgeon overseas who you can easily contact. You can also schedule an appointment with a plastic surgeon in your hometown just in case you have important questions that need immediate answers to. For most people, the main reason why people get plastic surgeries abroad is to get top-notch medical care for a lower price. In fact, many people (even celebrities) have already done it and are happy with the results. It is unquestionably possible to find qualified and reputable doctors in Turkey and other countries. You just have to make sure that you choose a clinic or surgeon that you would implicitly trust your life with. Physical fitness and overall well being is achieved when you exercise and eat balanced meals every single day. If you made the decision to make a complete lifestyle change to become healthier, it is imperative that you know how long you should be exercising. Before you begin training, determine what your goals are. Working out is not just a decision you create on a whim. You have to plan it out, create a strategy and set goals. Building this framework will help you go through the expected challenges and succeed through the difficulties. The health risks from obesity or being fat and overweight are not a secret. By simply carrying more body fat than normal, you already put yourself at risk of many weight-related health problems. Weight loss is not an easy task. In fact, this is perhaps one of the most difficult goals when trying to become fit. If you truly want to lower down the numbers on your scale, you must not let your body settle on cardio exercises alone. Strength training or muscle building is also vital in shedding those extra pounds. And when you throw in varying levels of difficulty through interval training, you keep your body in constant flux. It is recommended by health experts that you exercise three to five days a week. For beginners, it is advised that you only aim for three days and one rest-day in between. This schedule helps you build your stamina and strength while losing weight without the worries of possible injuries or burnout. When you start to feel more comfortable with your training, you can gradually increase the intensity and the number of days from three to five days a week. Once you feel more confident about exercising, you can now move on to strength training to build your muscle mass. Many experts recommend that weight training or any resistance exercise should not be performed everyday. For every effort you exert, you actually create small tears in your muscle fibers. These micro-injuries need to recover and it would take approximately 24 to 48 hours for your muscles to completely heal and repair themselves. If you are still at the beginning of your fitness routine, make sure to start at a lower intensity. Space out your weight training to give your fatigued muscles the chance to recuperate and fully recover. This will allow them to grow bigger and stronger. Strength training should last for 45 minutes to an hour. Make sure that you incorporate this form of exercise 3 times a week, every other day. As muscles need time to build and grow, avoid targeting the same muscle groups for two sessions in a row. Always remember to stretch out your muscles before and after for best results. If you have achieved your fitness goal, the American Heart Association recommends 75 minutes of high-impact exercises and 150 minutes of moderate-impact exercises weekly to stay healthy. Though it does not seem to be much, following this recommendation can already benefit you by reducing your cholesterol, normalize blood sugar levels, improve cardiovascular health, lessen the risk of chronic inflammation and elate your mood. No matter what your age is, finding a routine that works for you is an easier way to stick to a healthy lifestyle. The trick in achieving top physical fitness is sticking to the routine you have created until you hit your goal. Do not worry too much if you get side tracked. Falling behind is part of the process. Just stay focused and be conscious with your eating habits, sleeping patterns and exercise program. It will be difficult at the beginning, but soon enough, every activity will come to you as a breeze. Aging can be rough on some people. As we get older, there are certain things that can become more difficult, and that includes weight loss. For some reason, the more we age, the more we grow our craving for food. And if we don’t take measures in controlling our weight as we age, consequences can be dire. Losing weight can prevent us from high blood pressure, high cholesterol, type 2 diabetes, and many more age-related diseases. Yes, it is difficult to lose weight when you’re 30, all the more difficult when you reach 40. So if you are still in your 20s, you might as well take advantage of the time you have left and start living a healthy lifestyle. Aging alone can cause weight gain. There are so many theories going around on the relationship between obesity and age, but most theories revolve on the person’s free radicals. To make things clearer, free radicals are molecules in your body that lost its paired electron, making the hydrogen bond of the molecule break. This instability causes an imbalance with the molecules and makes them reactive to their environment, affecting other healthy, intact and paired molecules along the way. The Theory of Free-Radical states that aging is the result of free radicals in the body causing your body to lose its homeostasis and increase its vulnerability to certain pathogens that can make you sick. To state this in the simplest way, free radicals are formed in the powerhouse of your cell called mitochondria. Mitochondria is responsible for producing ATP – the fuel of your body. When a free radical is formed in the mitochondria, it can’t perform its real task properly, and that is to give energy. This concludes the statement that you are aging due to the lack of energy your body provides. Since your body is producing less energy, your metabolic rate drops. When this happens, everything else slows down, including your metabolism. The lack of energy makes you urge to eat more, but the body can’t burn off the excess fat so you simply accumulate more fat. When energy is interrupted in a cellular level, your brain reacts as well. Brain activity starts to slow down a bit, inhibiting the release of important hormones that also promote optimal body function. If your goal today is to lose weight, you can fight occurring free-radicals in your body by neutralizing them with antioxidants. Fighting free radicals can be done in as simple as making diet changes. Your body produces antioxidants naturally, but you can increase it by getting your source from the food you eat. Antioxidants are enzymes that fight free radicals. How exactly does it happen? Well, antioxidants will pair up to an unpaired electron. When this happens, the molecule will neutralize. Try EarthWell Turmeric Curcumin Extract if you need a supplement to help you with joint pain when you exercise too much. Many studies have proved that you can increase your antioxidants by eating the right food. But today, it is quite difficult to get the right amount of antioxidants. 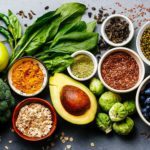 As the selection of our diet grows with the availability and different choices of food in the market, you won’t get the right amount of antioxidants unless you choose to entirely quit on processed food. But don’t get me wrong, antioxidants won’t make you lose weight. It will only support your weight loss by increasing hormone levels and accelerating metabolic rate. 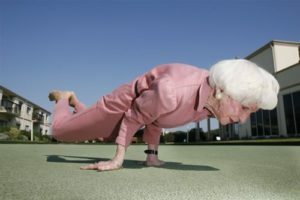 Aging is not an obstacle to losing weight if you equip yourself with the right knowledge. By neutralizing free radicals, you can make your body very efficient, up to its cellular level. If you can’t get your antioxidants from your diet, supplementation is the answer. When this is done, you can get back to your exercise routine and see the difference on your weight loss progress. 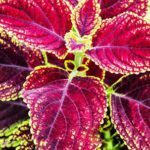 Have you heard of the plant Coleus forskohli? If you’ve lived in Asia, you have probably heard of its medicinal properties. This plant has been used traditionally to alleviate and treat certain conditions. A few examples are asthma, psoriasis, eczema, hypertension, angina or chest pains, and congestive heart failure. 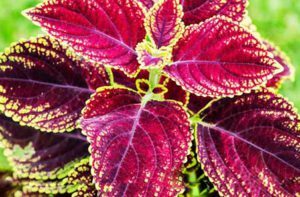 Due to its history, Forskolin has become a subject of interest for research in in-vitro and animals. There are also existing clinical studies on humans. If you are highly allergic, or asthmatic, you probably know that the drugs in asthma can inhibit the enzyme called phosphodiesterase. This enzyme is responsible of breaking down cAMP . To simplify it, your body simply needs more cAMP for you to feel better. Forskolin has the ability to increase cAMP directly. Unlike other drugs which contain so many mixtures, Forskolin can be used alone. This helps you increase your ability to fight off allergies and reduce the incidence of asthmatic episodes. Most people who have severe allergies and asthma take forskolin supplements together with their phosphodiesterase-inhibiting drugs. There are many studies that prove that forskolin is a smooth-muscle relaxer. This is why it is a great bronchodilator for those who have trouble breathing because it decreases resistance in your airways. Forskolin is great for pulmonary function. It is also antispasmodic therefore is relieves intestinal colic, painful urination and uterine cramps. People who are prone to heart diseases suffer from hypertension, chest pains and light headedness. Treating these conditions is among the many benefits of taking forskolin. One of the basic actions that forskolin does to our heart is it lowers our blood pressure, at the same time, increasing the heart’s contractility. This is due to the ability of forskolin to elevate cAMP levels thereby relaxing the arteries and increasing the force of contraction. There was even a study of 7 patients with a very serious condition called dilated cardiomyopathy. After consistent forskolin administrations, the patients’ left ventricular function and overall cardio performance dramatically improved. Many people in the US suffer from a skin condition called psoriasis. Psoriasis is caused when there is a rapid rate of skin cell division – about 1000x faster than the normal rate. This rapid rate of cell division is due to the relative decrease of cAMP therby disrupting the homeostasis of cAMP-cGMP enzyme. Forskolin acts on it by normalizing the ratio of cAMP/cGMP. Although there are many treatments for psoriasis, you may consider forskolin and evening primrose oil in your skin regimen to treat this skin disease. In order to lose weight, you must facilitate lipolysis (the process of breaking down fats) in your body. It’s undeniable that exercise is the best way to do it, but not everybody can exercise like other people can. Anyone can get a little bit of boost in order to lose unwanted weight, and using forskolin is one. A study conducted in Penn State University College of Medicine found that obese individuals have lower cAMP production. These findings were based on in vitro studies these researchers conducted. In fact, this study was taken into action through a clinical studies conducted to 6 overweight women. These women were tasked to drink 2 250mg capsules of forskolin per day for 2 months. This experiment showed that the women lost an average of 10 pounds! Aside from the weight loss, their body fat percentage have significantly decreased to 8%. During the trial, their blood pressures were also monitored and they were lower throughout the duration of the study. Based on these results, forskolin is considered safe to use in losing body fat. 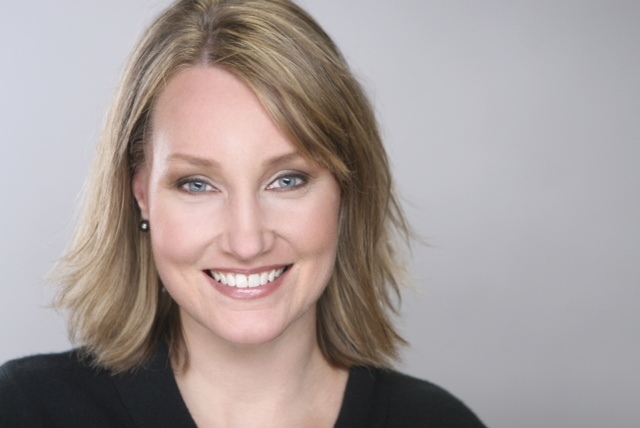 Weight gain during breast cancer treatment is often minimized by physicians and caregivers. What are some extra pounds in the face of cancer? Yet it is very real and this suffering is added to what you already get from the disease and its treatments. Women, already confronted with loss of hair, eyelashes, nails, fatigue, nausea … must in addition all too often face the extra burden of more pounds, and it is so difficult to bear. And these pounds tend to settle down, long after care is over. On the other hand, it is known that patients with a high body mass index (BMI) have an increased risk of breast cancer and that overweightness and obesity are associated with poorer prognosis. On average, women take between 2 and 4 kg during the treatment, but some have a much higher weight gain and others do not grow fat at all. Unfortunately we are not all equal regarding the kilos. But why do we gain? Anxiety and even depression lead to a change in our eating habits. As we know, eating sometimes gives the impression of being able to better manage the stress. In the same way, the forced immobility due to stopping work and the physical inactivity are not favorable to the maintenance of a correct weight. Stay at home, turn around and then nibbling makes its appearance much more than when we were stuck at an office. Treatments by themselves, chemotherapy and hormone therapy can make you gain weight. These are recognized side effects of the products. For hormone therapy, it seems that it is more frequent under tamoxifen. Cortisone, often administered to compensate for the nausea induced by certain chemo, is also responsible for a few kilos. Finally menopause which can occur after chemotherapy or hormone therapy can make gain weight. Unfortunately no miracle can happen without a little effort. If during heavy treatments it is difficult to imagine dieting, it is possible, and even advisable to control your weight, once medical care has been completed. It is said to women in full treatment: please, enduring the side effects is quite hard enough not to impose additional constraints: one is made sufficient violence for in addition, to have to deprive oneself. This advice is binding only to some women and some doctors advocate monitoring your weight from the start. On the other hand, after, and even under hormone therapy, it is possible to try to lose weight, but without falling into excesses. Indeed, no question of using a hyper protein diet, like the Ducan diet, or a dissociated diet. Healthy eating, consuming fruits and vegetables, lowering intake of sugars and fats, avoiding snacking between meals, seem to me to be basic principles and easier to put into practice. 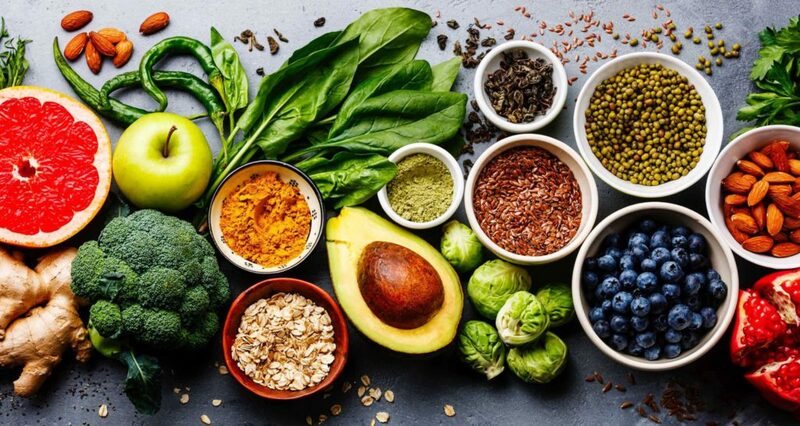 Ideally, if you can, and if you have difficulty in reasoning, it is best to consult a nutritionist who will help to evaluate the flaws in our diet and explain how to prepare perfectly balanced meals. There are even consultations in some hospitals. But in all cases one should not be too hasty: the body has been subjected to a severe test, our psychological state is not necessarily at the top immediately after treatment, and life does not immediately become the one it used to be before. To allow time, to take care of oneself are an integral part of the process of regaining our body which we lacked. Of course, it is necessary to start some sport again, because as we all know, activity helps to regulate our weight. It is even recommended to do it during the treatment, but it is not always easy, but some patients are actively doing some sport. There is no question of running a marathon or getting on with weightlifting; On the other hand, yoga, qi qong, walking … are easily accessible once a normal life is resumed. The fear of lymphedema should not be an obstacle to this resumption of physical activity. You just have to be reasonable and do not put your arm to too much effort. If there is a feeling of pain, heaviness, simple embarrassment, you have to stop right away and change to something more in tune with your current fitness and strength level. Of course we all know how difficult it is to diet. In the same way there are often a lot of excuses for not doing sports. To take your time, to be helped, not to hesitate to consider the weight loss as a treatment in its own right are ways to spare both your health and your psychological balance.